I have to tell you that I am truly, madly, deeply in love with life right now. It has nothing to do with a particular person but everything to do with the path I am on, walking in my purpose and pursuing my passion each and every day. It's hard to believe that the magazine that began as an idea while sitting in my mom's living room back in April 2006 is now celebrating 10 years and over 13k subscribers in countries I have only heard about. Conversations Magazine has become so much more than I ever thought it would be, and if the truth is to be told I have become a person I never thought I would be. The new issue is not just a reflection of those ten years of hundreds of interviews I've had the privilege of sharing but a reminder that you can wake up in love with life as well. All of us have a different journey, but I think this issue proves that regardless of your profession or where you live there is nothing you can't accomplish. You will read about individuals I have had the pleasure of meeting through my travels around the country as well as those who have joined me on the radio show Conversations LIVE. It is my hope that this issue will challenge you to look at yourself and what you can do differently. Later this year I will celebrate the 13th anniversary of Conversations LIVE the radio show and the 10th anniversary of Conversations Book Club. Each of these milestones are a result of my belief that his work I do is bigger than me. As you look at yourself and what you were meant to do, it is my hope that you will be inspired to keep pushing forward, never knowing what the next day could bring. Four years ago when I announced that Platinum-selling recording artist/American Idol winner Ruben Studdard was going to be my guest on Conversations LIVE it was immediately seen as one of my biggest interviews of the year---and it was. The soulful crooner was recently a part of the big finale of American Idol, the show that made him a household name. I was extremely excited about the opportunity to talk with Ruben on the air and to feature him in the pages of the magazine. I had followed his career since the American Idol win, and I was convinced that his was a life full of experiences and lessons that my listeners and me could all learn from. I was not disappointed. 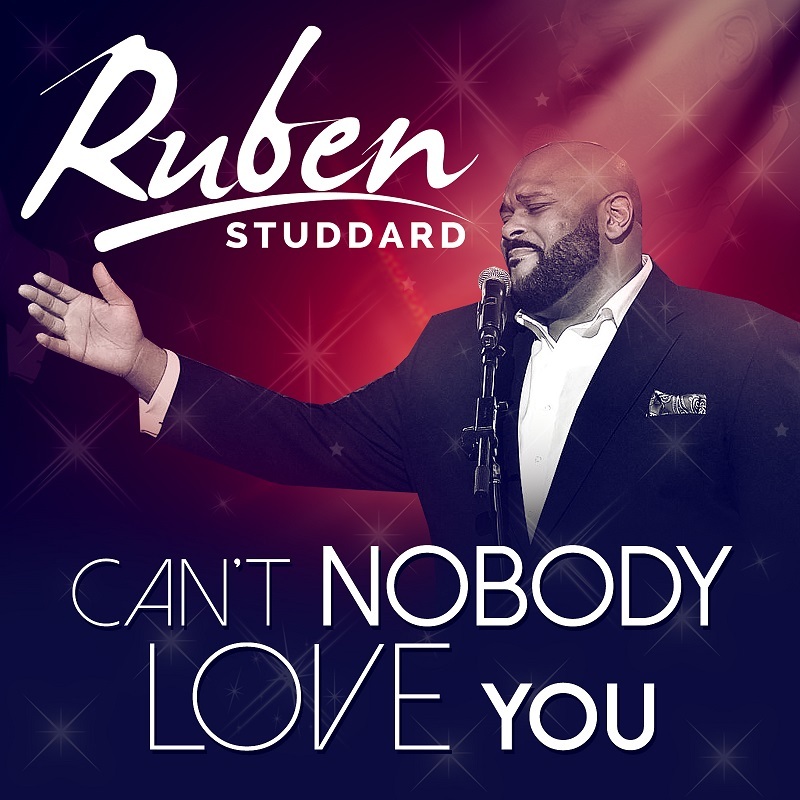 His new single CAN'T NOBODY LOVE YOU released in early April 2016 is garnering great attention and once again Ruben has been all over television and radio promoting the music and sharing his story with the world. In this conversation you will hear from the man himself as he discusses the road to stardom, what keeps him grounded and ultimately what it means for him to be a great artist. "I just wanted to sing. After you try so much, you really just want to be heard. When I finally made it on American Idol I wanted people to hear me and enjoy me. To be an inspiration is really a blessing. I most definitely can attest to what perseverance can do for you." "My responsibility lies with my relationship with God. I wanted to make sure that I made music with integrity. The music I make is something that I could sit in a room with my grandmother and listen to with no regrets." "It was awesome. You never really get to see or feel what is going on outside of the show. When I got home for the first time and to have people waiting on me at the airport was a shock. We as artists would be nothing without them." "It was pressure in the beginning because I never considered myself in that category. I have always put Luther on a pedestal. It was kinda heavy because it's a lot of expectation. Some expect you to produce that kind of high quality music. I now believe it's more about what you make them feel rather than my actually singing like him. That's a compliment." "Your first album you don't have as much say-so as you might feel like you should. You have to go with the flow. Clive Davis helped to manuever me through my first album. The older I get and the more creative control I have I am able to do more of my own thing and have a lot more say-so. This allows me to show people who I am. I just want to be myself and sing." "I felt in the beginning it was important to separate the two. When you listen to all the greats, though, the further they get in their career they become more transparent. That resonates with their fans. Being so private isn't as important as you think it is. It's good to keep your business to yourself, but the only way you can sing songs that really matter to people is if you've actually gone through stuff. "I can't act like my life is perfect. It's unfair to believe that people never go through things. For me this (the single JUNE 28TH and the album LETTERS FROM BIRMINGHAM) was my way of saying I'm human. I go through stuff, and I'm able to move on." "For me now success is longevity. A lot of times people feel that every time out is not going to be just the highs. You have to sustain yourself through the highs and lows if you want to make it in this business or in any business." Ruben told me that he wanted to take the listeners on a journey with the new album, and I believe he does just that. The new single CAN'T NOBODY LOVE YOU is available now at your favorite outlet. You can stay in contact with Ruben on Facebook at www.facebook.com/RubenStuddardMusic and Twitter as well as on his website www.rubenstuddard.com. Over the years one of the greatest blessings I have received in my life is receiving the gift of today. It allows me to remember that although yesterday wasn't perfect my life is not over as long as I have breath in my body. Though it poses a great opportunity, what a waste it would be to use it repeating the mistakes and choices that we have already made. One of the books that I read in 2013 that really brought this point home was TAKE 2 by pop-culture icon Leeza Gibbons. Known for her contagious optimism and skills as a media personality, the book takes you into the makings of the woman she is today and allows the reader to see how where they are right now doesn't have to determine where they go. Since then she has gone on to be a winner of NBC's Celebrity Apprentice and has recently released her new book FIERCE OPTIMISM. It was my pleasure to have a conversation with Leeza in 2014 that I shared in the pages of Conversations Magazine not just about the book but her own lessons learned along her incredible journey. "I think in life we get exactly what we are willing to put up with," she told me. "If you don't respect yourself, then you can't expect anyone else to honor who you want to be in the world. We teach people how to treat us. You have to value who you are." To this point she says in Take 2, "Surviving and even thriving through change depends on your ability to search out the good and work with what you have. How well you do that depends on how you view shifts in your life. (p.23)"
This reminds us that anything worth having is going to require some work on our part. "Whether you are trying to recreate your life or invent a new product you have to drop the dread and you have to banish the blame," says Leeza. In the book she refers to it as a form of rebooting. "That's the biggest option we have," she told me. "It comes down to thinking." She gave examples of individuals who were all great at their professions. "The one thing they all have in common is they know how to think. When you change the way you think everything else in your life will adapt." What Leeza shared reminded me of what she wrote in Take 2 in the chapter Ask Yourself: Are You Worth It? The section was called "Who Do You Think You Are?, and she began it with this profound statement: "How we see ourselves is exactly who we'll become." This has a great deal to do with the story we tell ourselves about ourselves. "You do have to have a real sense of who you are and a real foundation," Leeza said to me. "You have to run your own race and don't worry about what others are doing." She then shared something that I hadn't thought about before, having a mission statement for your life. "Take some time to really write down what you want and who you are," she urged. "We do it in business, and we should do the same for ourselves." Our mission statement should include how you interact with the world and how you want the world to see you. By doing this Leeza says we will then know who you are and where your lines in the sand are." It's obvious that someone like Leeza is setting an example for men and women alike when it comes to the course she is on. I asked her what it was like to know that she was an inspiration to others. "I think that when we are of service then we really do feel productive and proud," she answered. It was then that she shared that she went back and forth about writing Take 2 and if she really had something to say that others would be able to glean from. "I finally got to the place where I said how I am received is not my work. My work is to embrace it and put it out there." It is that realization that has not just made the book a reality but put its message out in the world for others to take in. Writing Take 2 wasn't about saying everything for her was perfect. It was more about showing a path and focusing on a way to a better way of looking at life. "Where we put our intention and attention is where things go," Leeza says. "Where focus goes energy flows." This is important to keep in mind even when we make mistakes. "If you never fail then you're not taking enough risks in your life. All successes are built on failures." Leeza says we cheat ourselves by not starting anything simply because of the fear of failure. For her it is better to try and fail and then build on that failure moving forward. A great deal of what has helped Leeza in moving forward is the realization that she is not the source of all the answers. In the chapter Let Your Spirit Soar she discusses prayer and it's role in her life. "Anytime I need to feel connection and to recognize that there a greater power at play in my life, I pray. Often I ask for strength and wisdom and to have an open mind to recognize God's messages to me. I think so often we pray for something, but we don't like the response, so we deny it. I pray that I will accept the reply and recognize that no is an answer, too. (p.174)"
"Perspective is a beautiful thing," Leeza said as we wrapped up our time together. "It's about learning to be in gracious acceptance. Real strength comes from knowing your limits. Be quiet and allow answers to come in." This definitely requires a bit of faith on our part. "We can only know so much," she says. "People who are happy don't see the top of the staircase, but they keep climbing anyway." As Leeza relays in the book "This is your moment... Don't wait for some far-off time when the alarm will ring and you'll suddenly know to step out of the shadows and into the spotlight." All of us can begin walking towards that spotlight right now. It all begins with the choice to do so. In 2015 as the decision for Celebrity Apprentice winner came down between Geraldo Rivera and Leeza, Geraldo said that Leeza played it safe. Her response? She said she played it smart. One of the surprising moments of the finale was when Donald Trump admitted that he never thought Leeza would make it to the end. It was then that she delivered one of the best lines of the night: 'Never underestimate a woman with passion.' Before announcing her as the winner, even Trump had to acknowledge that Leeza had led with "kindness," proving once again that bringing the best of yourself is still the best way to live. It is lessons like this that she shares in the new book FIERCE OPTIMISM. TAKE 2 and FIERCE OPTIMISM are available right now in print,electronic form and as a audiobook on Amazon. You can stay in touch with Leeza at her website www.leezagibbons.com and through social media at www.facebook.com/officialleezagibbons and www.twitter.com/leezagibbons. 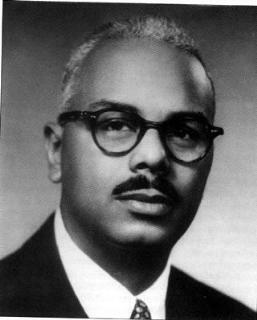 Cyrus Colter’s ‘A Chocolate Soldier’ was published in 1988; during a period in African American literature when some critiqued that Black males were being bashed, portrayed in a negative light, by Black female fiction writers. What Colter did during the controversy was write a Black male protagonist, Meshach Barry, who had a Black male hero, Rollo Ezekiel Lee – called Cager throughout the text. By creating two Black male characters, with flaws, that took the lead in the text, Colter writes Black males with human frailties that were not demonized due to their defects of character. The reader meets Meshach, a complicated character indeed, at a reflective phase of his life; he was contemplating his memoir. The childhoods of both Meshach and Cager was presented in the work and added the necessary depth to understanding the many whys that occur to the reader while engaged in the novel. Colter not only juxtaposed the life of Cager against Meshach but Cager against several support characters including: a university president, college professor, barkeep, female lovers, and the eventual murder victim - a rich white donor to the school. Through these conflicts it became apparent who the chocolate soldier was, and the war he fought was with an old and experienced adversary, racism in America. During Meshach’s accounting of the past the reader experiences the preacher, professor, convict, and mental patient lives that he lived. The growth, development, doubt, and frustrations of each life was witnessed, and this added literary weight to novel. The craft employed to demonstrate how racism along with the personal demons yielded such a complicated character, as Meshach, required a writer of exceptional skill. Both Meshach and Cager were faced with the obstacles that Black men living within a predominately white society of their era faced: Jim Crow restrictions, overt racism, Uncle Toms, and the plaguing desire to be treated as an equal by those who saw them as less. This was the war Colter had them both fighting – against racism and self, but the question the novel raises is how much of self is shaped by living in a racist society, how many of one’s character defects are caused by living in a hostile society. A reader leaves Colter’s expertly crafted ‘A Chocolate Soldier’ with the stark reality that a racist society affects those targeted by unjust prejudice policies, and to survive in the system one may develop character defects that may harm others. With all of its well-crafted prose ‘A Chocolate Soldier’ serves as a simple warning against the damaging effects of racism. Tony Lindsay is an award-winning author and adjunct professor at Chicago State University. He can be reached on Facebook at www.facebook.com/tony.linssay2. 'What to do? What to do?' I say as I walk around in circles trying to figure out what to tackle next on my list. I sit down at the kitchen table to look at my list 'I really don't have time to do that and don't want to do this' I say to myself about everything. There I sit in a dilemma as I stare blankly at the paper. After studying my list for a while I go to the living room, flop down on the couch, put my feet up and turn on the television. There I sit mindlessly spending an hour that stretches on into two, watching a show I can't even tell you the main point of. I become really upset with myself 'Wasted time, wasted time', I mumble to myself. I return to the kitchen table, taking my list in hand and shake my head. Surprise, surprise it is was no shorter, but two hours had passed. This time as I looked I said to myself: 'I could have done this and that' as I ran my fingers through my hair pointing to different things. What made the difference? Nothing on the list changed. The thing that changed was the value I put on them! Before they didn't appear to be important enough for me to spend time on. Now that I can't get that time back I see what I could have done that would make a difference. It might not have made a big difference to many people, but the people I shared the house with would have been pleased even though they might never say a word. The clean floor, clean dishes and super cooking would have made a big difference to them. What I should have done when I looked at my list the first time was to think of others instead of wasting my time doing something mindless. There have been many times in making important life decisions I have found myself walking around in circles saying 'What to do? What to do?' I get nothing done then either. I just make myself dizzy. I need to stop walking around in circles, sit down, take a deep breath, evaluate the situation and pray. If there is something in my life that needs changing and I can, then I need to work on the change. If it is something I cannot change than I need to determine how to deal with it. I need to keep focused on the greatness of life. I need to keep absorbed in what God has for me to do. Then what to do will work itself out. Are you walking around in circles? Are you asking yourself what to do? I want to invite you to stop, sit down and think with me. Together let's pray, asking what we are really designed to do. Then get busy doing just that. Have a great day thinking. Glenda L. Hunter is the award-winning author of AN UNSPEAKABLE SECRET, OUT OF THE DEPTHS and the children's books IT FINALLY HAPPENED and JUNIOR GOES TO SCHOOL. Find out more about her at www.authorglendalhunter.com. Another one bites the dust. Another man I love is gone. After all of my dating and loving and pain, all I want to do is stay home, focus on my job and kids, and NEVER fall for another man again. Is this healthy? Probably not. Is this going to last? Probably not. But right now, I am so tired of dealing with heartache that I can’t fathom another broken heart. Maybe it’s me? Maybe it’s them? Maybe it’s a combination of me and the men I choose to love? I have zero idea as to why it always ends this way. Regardless of the “why” or the “who” in the situation, the pain is always the same: deep. I love fiercely. I do. I give all my free time to the man I love. I give him my loyalty, my time, and my trust. I expect the same in return, but it never happens. So what do I do next? Do I give up on finding my “other half”? Would I ever be happy alone? I just cannot honestly tell you. What I can tell you is… this is for the birds. Sure, I have options. We all do. I can call a number of men and spend superficial time with them. Will it amount to less heartache? No, it surely won’t. When I return home from a fun night out, the old heartache will return to me in its full force. I will probably be drunk and that will intensify the pain by a million. So why do I do it? Because I am lost. I am a lost woman who just wants a partner in this difficult life. I’m certain we all want to find someone who compliments our lives. Human nature is to want to find our “other half”, right? We couldn’t possibly feel whole without having a spouse to share our lives, right? So then we sacrifice and settle for the first person who is willing to love us. Does it matter if that person’s love is dangerously greedy? Does it matter if the person you choose doesn’t completely give you 100%? As long as you have someone, right? After all, who wants to become a lonely old lady? Who wants to be the old woman down the block who never married? Let it be noted that I do not care one ounce about becoming that old lady. I have made a decision in my life, for my own benefit, for a change. I will either have amazing or be amazing alone. No longer will I allow anyone to make me feel “less than” wonderful. No longer will I allow a man to be my sole focus if he only has time for me when everything that’s important to him is complete. Why shouldn’t I be a priority? The answer is: I should be. I should be his strength, his weakness, his love, his supporter, and his best friend. Ladies, never settle for less than you deserve. What if we all stood up for ourselves and demanded better? They’d have no choice but to give us better. If that leads to all of us becoming the unmarried old lady on the block, we will just have to get together and drink wine every weekend. That doesn’t sound at all like an awful life to me. But, that’s just my opinion. Before 2015 that is how long it had been before I walked the streets of New York. I was 19 years old the last time I was there, and though my intentions were always to come back for a visit or to catch a show, it never happened. That is until June 2015. So what brought me back to the Big City all the way from Mississippi? 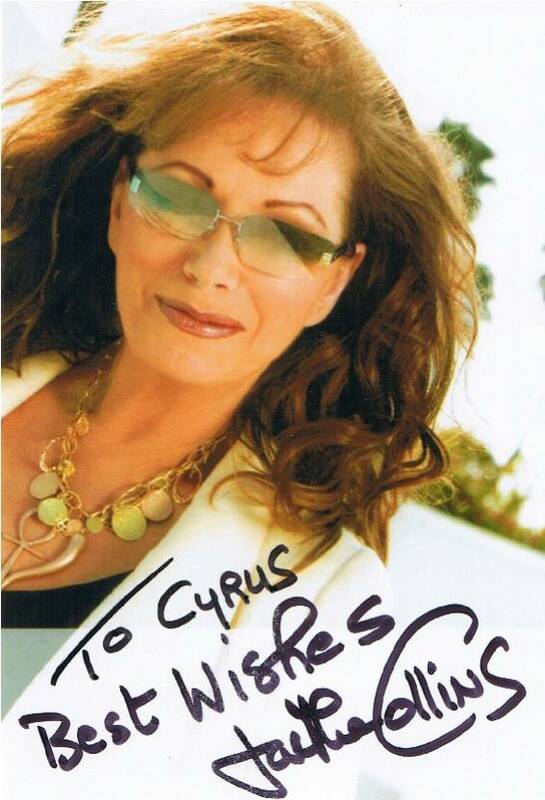 Two words: Jackie Collins. I have been a fan of her books for over 20 years, and have had the honor of interviewing her now 4 times on my radio show Conversations LIVE as well as feature her in the pages of Conversations Magazine. We have chatted, laughed together and stayed connected---but never met. So when I was offered the opportunity to not just discuss her new book THE SANTANGELOS with her over lunch but have some one-on-one time, there was NO WAY I could resist. On Wednesday, June 17, 2015---just one day after her new book released---I found myself at the Hotel Plaza Athenee in New York at an event hosted by Socially Speaking and Get Red PR with other fans/bloggers/journalists sitting at the table with the international bestselling author. 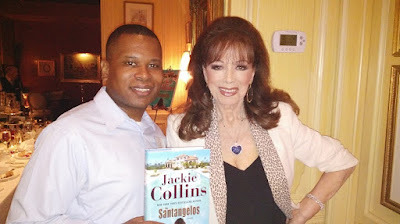 With over 500 million copies of her books sold, the force that is international bestselling author Jackie Collins became synonymous with engaging stories, sizzling story lines and characters that are talked about long after readers finish her books. After an entertaining and engaging conversation about her newest book THE SANTANGELOS she allowed me a few moment to tape a segment for my television show and web-series Cyrus Webb Presents about her career. She was everything you would have hoped she would be: gracious, confident and all too ready to discuss her new book and to listen to us as well. It was intriguing to hear her discuss the characters she has created, the parallels to pop culture today and even elaborate on her love of creating strong female voices in her books. Unfortunately months after I met one of my favorite storytellers she passed away on September 19, 2015 at the age of 77 of breast cancer. As I celebrate 10 years of Conversations Magazine I also honor the legacy and the impact that Jackie Collins had on readers and anyone with a dream. Ever gracious and open about her literary journey, during our conversations she shared not just her own experiences but gave some great advice for those who are looking for the key to living life with purpose and passion. "I think I write for everybody. All ages, all colors...There's something for everyone in all of my books. I am a true storyteller. That was the gift I was given, to tell stories. My main thrust has always been to write strong women, strong positive women. I think my readers love the women I create. Success (for me) is hearing back from the fans, hearing back from people who love my characters." "I think I realized it when I was a kid. I started writing in school and selling my stories to my school mates. I knew then I had a gift of making up a story. I read so much then, spent my leisure time reading books. "I was expelled from school at 15. At that point you're kind of in limbo, wondering what you're going to do with your life. I wanted to be a writer. My parents said you can't be a writer, you need to go to college. You need to get degrees. When someone says to me you can't do something that's when I say to myself 'Oh yes I can.' I decided to follow the dream, and the dream was to write books. Turns out, people don’t buy books because you went to college. I'm really proud of what I've accomplished." Her decision to "self-publish" some of her most popular books as kindle reads made news around the world, birthing over 120,000 stories about the decision. When asked about it, this is what Jackie shared about the move and the response from her fans. "All my books are on e-books in other countries, but a lot were not in America. I decided to do it myself, starting with B*tch, The Love Killers and Chances. I have gotten amazing reactions from my fans. They love it, and for me the experience has been very freeing." During our conversation together on Conversations LIVE I shared with Jackie that though I know people like the immediacy of e-books, I still love the physical copies. She mirrored my sentiment. "I want to have a book in my hand," she told me. "I have a Kindle and iPad, but I don't like reading that way. It is the new thing. I think real book lovers will still buy books, but some like the convenience of having them on Kindle which is why I am making them available to them." Jackie Collins will forever remain one of those authors whose work withstands the test of time. Why? Because everything she wrote came from the heart. Haven't enjoyed the world that is Jackie Collins? 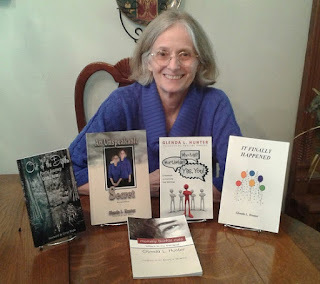 Visit her website to see a full listing of her titles including those that have been released as ebooks. 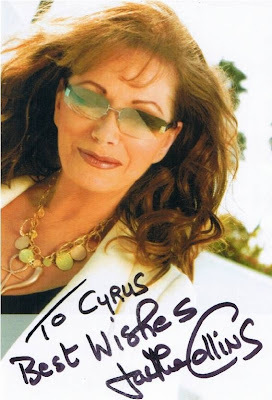 www.jackiecollins.com. She is the Grammy-winning legend that has impacted the world through music for over half a century. 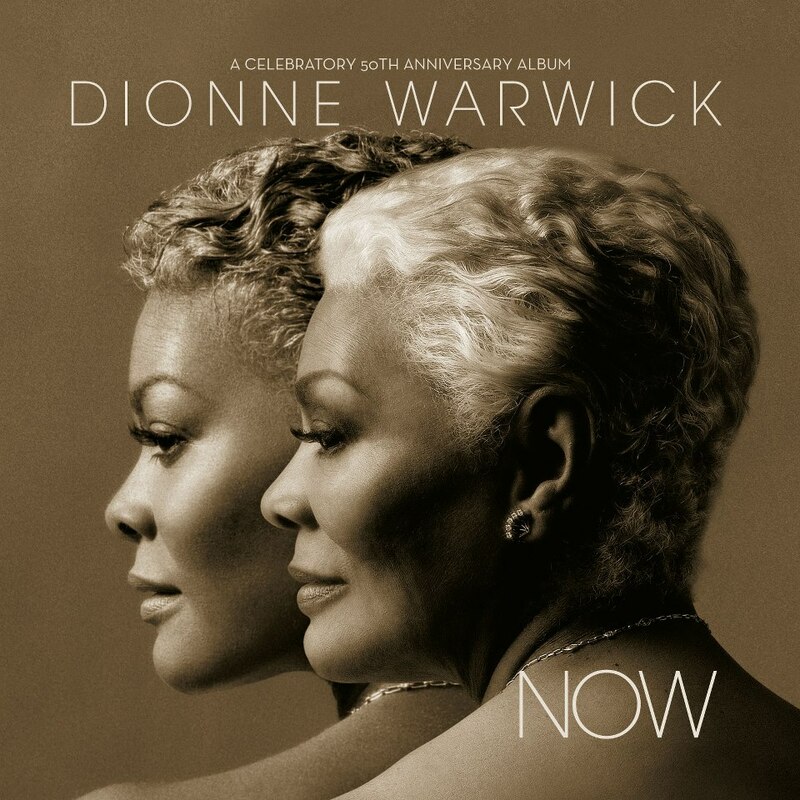 Ms Dionne Warwick is a legend not just because of her voice but because of the life she has lived and continue to live. She is a perfect example of someone understanding the importance of the moment and living NOW. 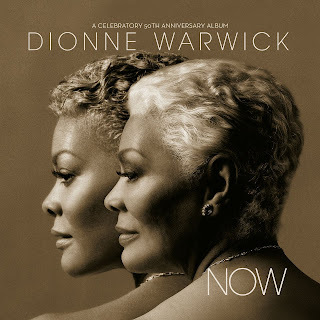 In fact, to celebrate her 50th anniversary in making memorable music she released a celebratory album called NOW that not only pleased her loyal fans but making new ones as well. I have had the privilege of interviewing Ms. Warwick three times on Conversations LIVE and twice for the magazine, and each time she was nothing but gracious and appreciative. During the first conversation I was joined by Susan Violante from Venezuela , an author who told Ms. Warwick that her music helped her to learn English! What an amazing opportunity: to be able to impact someone's life in such a dramatic way. As I spoke with Ms. Warwick for this interview she shared some with me what this 50 year journey has been like for her. ""It's been a wonderful ride," she says. "I'm thankful to my supporters for 50 years. I basically thought that if I stayed true to who I am and sung the kind of songs that my audience expected of me then longevity was a given." I asked her if she believed that what people responded to with her was the soul and the love that she puts into her music. "I think it's definitely that," she replied. "The music that I've been able to sing has grown. That is the beauty of music. It has the ability to live on and on." Though she was confident in her gift and believed it could take her anywhere, even Ms. Warwick says she never believed she would be in the business this long. "I felt that my first 10 years would be it and I would go on to teaching," she told me. "But that 10 years turned into 10 more and on and on. Now here we are." Because she is still here, she does understand the influence that music has in our lives. "Music generally has an amazing impact on people," she says. "I could never imagine a world without music. Artists are known as the messengers. I hope the messages that I have been sending have been effective and will continue to be." Talking about the younger generations that are discovering her music, Ms. Warwick's says this: "I certainly hope they discover some really wonderful songs that were written before they were born. I want them to enjoy the messages I have been able to bring. " Thanks to the internet, that is exactly what is happening already, and this thrills her. "It's wonderful to hear all of the comments," she says. "I am humbled by so many young people listening to my music and enjoying it. I am glad they could jump on that train and take the ride with me." Music is not the only way people of all generations are learning about Ms. Warwick. She is still active in her charitable work and her other businesses which include writing and even a fragrance. "As a youngster my grandfather told me that we are all on this earth to be of service to each other," she told me when I asked about the work she is doing to help others. "If my talent is the way I can do that then it's very easy to do." She then added: "I think that it's a part of what we are here to do. The messages that we send are vitally important." Ms. Warwick continues to travel the world, sharing the gift of her voice and the inspiration of her life. Every day she reminds us that each moment is precious and should be appreciated. We have all experienced what are known as "full-circle moments", those things that start us in one place in our lives and through challenges and accomplishments lead us back stronger and more prepared for what's next. For Taylor Hicks it is those full-circle moments that have made him the international sensation that people have gotten to know and love. As American Idol said goodbye this year after 15 seasons, Taylor Hicks joined the All-Star line-up of performers. It was 10 seasons ago when the Alabama native put the world under his spell, winning season five of American Idol in a finale that brought in over 30 million viewers. Since then the platinum-selling recording artist has been able to share his love of music with his fans and living the life that so many just dream about. There's just something about Taylor Hicks that draws you in, so when the announcement came in April 2012 that he was going to be headlining an eight-week engagement at Bally's Las Vegas (the very city where he auditioned for American Idol in 2006) he quickly became a trending topic on Twitter. When I was offered the opportunity to interview Hicks I knew that I wanted it to be more than just about his music. I wanted to share with readers an opportunity to get to know the man behind the headlines, behind the success and behind the music. I think we accomplished just that. In this conversation we talked about the fans, the talent and what he has to say about the process that has made his success possible. HICKS ON THE IMPACT OF AMERICAN IDOL: "It changed my life. I mean going from being a struggling artist and musician to being a household name.... It's one of those things I didn't take it for granted. I understood the business, and I know how hard it is to catch that big break. Obviously the break that I caught was one of the biggest in entertainment and television." HICKS ON RETURNING HOME: "It's amazing. I mean, there's nothing like it. To have that kind of fan base and be on a show like Idol and come home is pretty awesome. I've been very blessed to have that opportunity." HICKS ON THE JOURNEY: "I think I was always singing as a kid, learning music. The love for music started at a very early age. I knew this was the path that I was going down. As a kid I had a vision of being an artist, an entertainer and being famous. When you have thought it all along and it happens, it's really easy to be yourself." HICKS ON BEING AUTHENTIC: "I think that when you're talking about business, your relationships you have and the people that are around you, they can tell if you are being real. As long as you are being true to yourself you will be able to to let people understand what that looks like and help them to see it's okay for them to be themselves. People who really know you for you, that is something that definitely helps you. It keeps you grounded. The people who knew you 'when' are the best." HICKS ON THE RESPONSIBILITY TO HIS FANS AND THE MUSIC: "I feel really blessed and thankful for those who voted for me and have supported me in my career as an artist. If it wasn't for the fans in my business I wouldn't be here. I have to respect what they have to say, listen to them and let them be a part of what I have going on. It's important that I have undeniably great music. I think with me and the way that I feel about releasing a product or an album is not to dilute it. I don't want to release stuff that may not be as great as it can be. That's what I'm going to do with this next album. I think this should be what every artist should strive, to put as much of their own influence on their art as possible." HICKS ADVICE FOR ALL THOSE WITH A PASSION: "I've lived the American dream. You have to get alot of nos before you get the one yes. It's something you have to take to heart and really have the vision to carry it through, whether it's singing, dancing, writing, business or whatever. Take it from me: I've had alot of nos, but all it takes is that one yes and you're on your way." 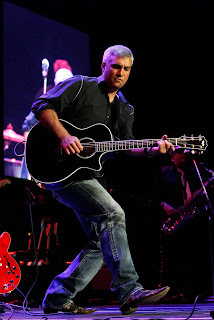 To stay updated on everything Taylor Hicks visit http://www.taylorhicks.com/. You can also follow him on Twitter at www.twitter.com/taylorrhicks and "like" his Facebook fan page. * Photo courtesy of Getty Images. 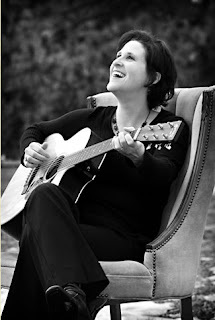 If you are looking for someone who is able to marry quality lyrics with soothing music, then Denver-based folk and Jewish singer/songwriter Julie Geller is someone you should know. I became aware of her due to her writing the song “If You Believe” for my friend Dafna Michaelson and the Journey Institute, but after I visited her website and listened to more, I was definitely hooked. Since that time she has been a guest of mine on Conversations LIVE, and she was profiled about 5 years ago in the pages of Conversations Magazine. This year it is an honor to have the opportunity of introducing our readers to her work as one of Conversations' 25 Women Changing the World. For Julie, she knew at a young age that this was what she was supposed to be doing with her life. It has been a pleasure of hers to now see that dream fulfilled in a large way. She's been writing music since she was about 16, and she remembers about 7 or 8 years ago someone told her you have to write not just about yourself. 'If you want your music to be really powerful,' they shared through some notes, 'you have to write about something bigger than yourself.' Julie was able to receive that message and has used it to touch people around the world. Over the years she has released albums and shared her music with enthusiastic audience, but in 2010 she released You're With Me—her third album—and has found it to be one of her most moving to date. "I think I use my music to heal me," she told me during our conversation on the radio show this year, "and then it reaches other people as well. I know when I'm writing a song and I get chills, I know if I'm feeling moved it will move someone else." I asked her what it's been like to realize and walk in her own personal power. Julie said this: "It's definitely been a growth process for me. I think over time I've become more open about myself and people appreciate that. You have to do it step by step. I think that's what people respond to: a sense of real humanity." Julie Geller is living proof of what can be accomplished in your life ‘if you believe.’ Discover more about her and the music at www.juliegeller.com. I've gotten to know bestselling author/writer/actor/producer (and one of Conversations' 25 Women Changing the World in 2016) Omegia Keeys over the past 5 years, and one thing is for certain: she is someone who plays by her own rules. 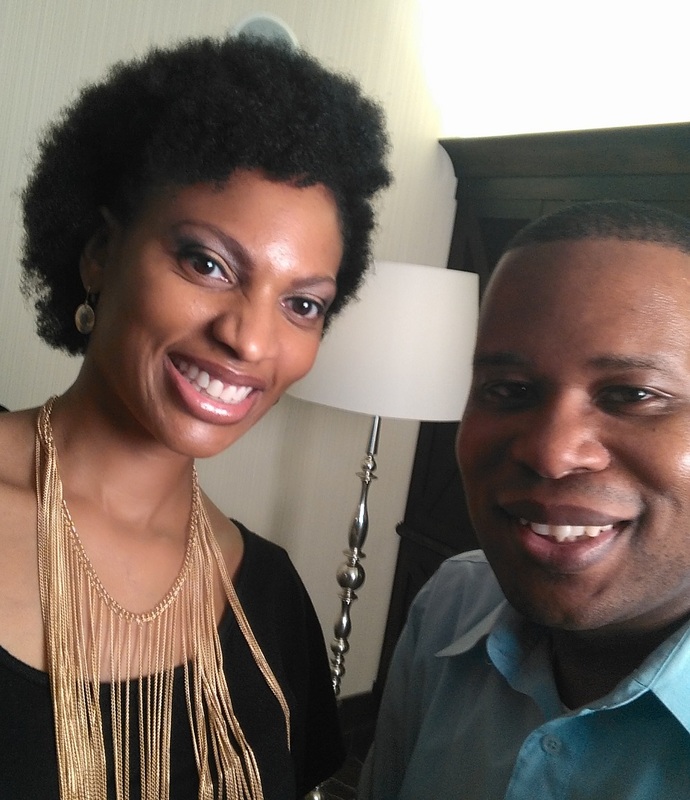 Before 2015 it had been 4 years since the two of us had seen each other in person, but while I was in Atlanta filming episodes for my web-series Cyrus Webb Presents we had a chance to talk about the amazing journey she has been on since the last time we met. That includes everything from acting in television shows and movies to producing her own web-series called DONORS. The first question that came to mind when we began the conversation this year was about where the courage comes from to do all that she does. "From my mom and my Great Auntie," she answered quickly. They taught her to "do it, because they couldn't. They instilled in me to don't let anyone tell me no." Omegia then adds "I've been that way ever since I was young." For her company AboutFace Media one of the highlights this year has been the web-series DONORS, something that Omegia says was not planned. "The web-series was never supposed to be," she told me. "I was going to jump straight up into the feature." Having her credentials as a filmmaker questions, however, led her to take out her frustration in words. "I wrote the first episode overnight because someone ticked me off," she explained. "My writing ability when I'm mad or upset comes out so crystal clear. I got to do this wonderful backstory" that serve as preparation for the feature. No matter whether she is writing a novel or a screenplay, Omegia Keeys says that the written word is her "gift." "And who am I not to follow this gift," she asks. Omegia is currently filming her first feature film called Domestic Seduction. 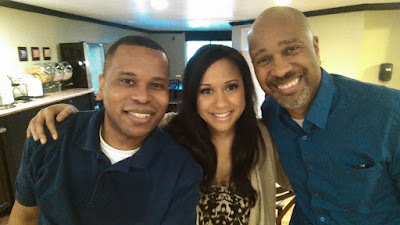 Stay connected with all things dealing with AboutFace Media at www.aboutfacemediaafm.com. His book BY FAITH, NOT BY SIGHT was chosen as one of my top reads of 2012, but it was my conversation with American Idol Alum Scott MacIntyre that told me his story needed to be included in this magazine. Throughout everything that he has endured in his young life, Scott has remained steadfast in his belief that there is always something better ahead. The lessons he has learned are ones I wanted to share to help guide you through your own challenges. SCOTT ON BEING AN INSPIRATION: "It is amazing and very humbling how people have responded to my story. When we first got the book out in stores it was really humbling to hear back from people about how it was touching them where they were hurting and needed inspiration. I feel very honored to bring them a message like that." SCOTT ON HIS FAITH: "The main thing for me is my faith. I'm a Christian. It has kept me grounded no matter what I've faced. It's because of the challenges I've faced that I've been able to stay grounded as well. I am so grateful to be alive and even make music. I try to always be the same person I am on camera that I am off camera." SCOTT ON THE ROLE OF FAMILY: "Family is huge for me. That is where I got my sense of being able to persevere and pursue my dreams. When I was born blind my parents could have chosen to be been upset and bitter. They didn't choose that. They chose to see the beauty in the situation. Whenever I face an obstacle, I know I have that choice. I can choose to be frustrated and upset or see the beauty in life every single day. I choose the latter." SCOTT ON HIS ATTITUDE: "I think when obstacles pop up or when people face uncertainty some of us have a tendency to focus on the negative by default and gloss over what we might learn from the situation. If you choose to say this is a tough situation but let me try to focus on some of the good things I guarantee you will be able to find the silver lining in the clouds." "I had my love of music. It compensated for my lack of vision. I chose to focus on what I could do and not what I couldn't. I say to people in a loving way that there is no obstacle too big or hurt too deep that you can't overcome if you walk by faith not by sight. There are so many situations in life where you can't see where you're going. None of us can predict everything about where we are going to be in a few days or years. It's easy to get caught up in that uncertainty. Don't worry about the steps along the way and focus on the end goal. If you do that, you will succeed." 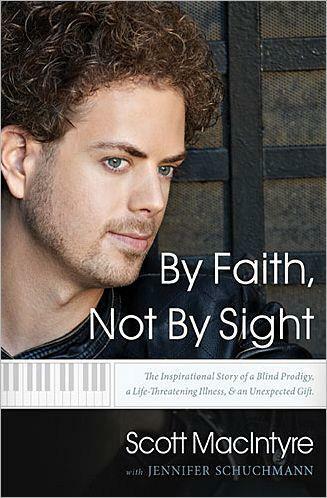 Scott MacIntyre's very existence is a proof of the power of faith. When you can believe and embrace something larger than yourself and your current circumstances then you learn what it means to trust in the Lord with all your heart. "When I was 19 years old I was diagnosed with stage 4 kidney failure," he told me. "It scared me. I felt hopeless and overwhelmed. I was so weak I couldn't sing or play the piano in my own living room." Thanks to the generous gift of a family friend he was able to get a new kidney and not even a year later he was on American Idol. "It's not so much about where I am now but the journey I traveled to get here," he says. "As long as I am breathing I believe there is still hope." His encouragement for you? "If you want to live an exciting life you have to run for it. This is a race for living. I haven't stopped running... I try to make the most of every day." You can stay abreast of all of Scott's activities on his website www.scottmacintyre.com and his Twitter handle @scottdmacintyre. One of the things Conversations has tried to remind readers and listeners of our platforms of is that with faith nothing is impossible. No matter where you are from or what others might say, there is nothing you can't do or achieve if you are willing to do the work. On December 31, 2015 Mississippi native TraVion Blair wrote on his Facebook page: "God has major plans in my future." Not long afterwards the 17 year old was walking in his first fashion show, doing photoshoots and on his way to seeing his goal of being a model and actor come true. In an exclusive interview he talked with Conversations about the journey and what it's been like to remind others of what is possible. "I like to motivate people to follow their dreams" TraVion told me. "This is a dream of mine. Just to do it it makes me happy." Talking about his walking in his first fashion show he says he was nervous at first but became more relaxed and it ended up being one of this greatest feelings and experiences of his life. Though he was initially interested in pursuing acting first, TraVion says his mom told him that modeling might be the way to get his foot in the door. "I went to a modeling show and realized I could do this," he says. "One of my friends told me 'That that could be you'. It motivated me to pursue my career in modeling and acting." Never to be seen as the shy one, TraVion says this is more than about him. "I want to make sure that everyone has the opportunity to follow their dreams and make the world a better place." To do anything towards your goal and dreams takes courage. I asked him how he has not allowed fear to stop him. "Fear is something that shows weakness," he told me, "and for me to show weakness is to show that God is not in control. I want to show everyone that God is in control of my life." His advice for others? "Never give up on your dreams. Keep following your dreams, follow your heart." 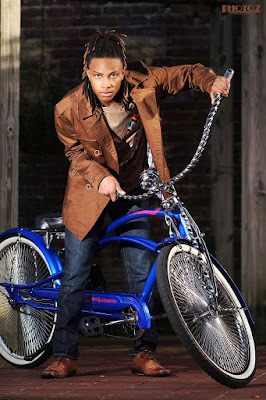 Stay connected with TraVion on Facebook at www.facebook.com/travionblair12.